BENMAR Fabrication is currently fabricating a Submarine Diving and Recompression System Ship Interface Template Set (SITS). The SITS are a component that enables rapid physical installation, integration, and alignment of deck-mounted Pressurized Rescue Module System elements on a Vessel of Opportunity. These SITS – which are a combination of fixtures and structural supports – will accommodate many different vessel types, protect equipment from items on the vessel deck, and provide attachment to the vessels deck surface. 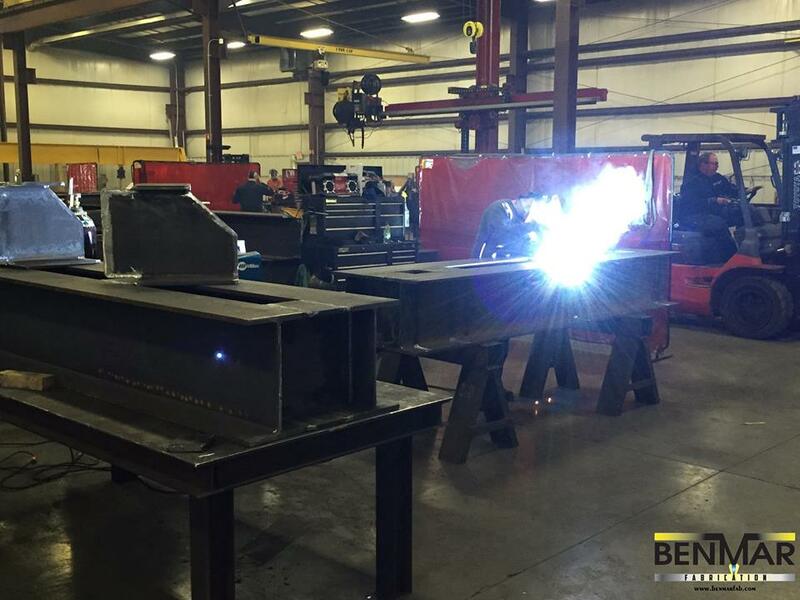 BENMAR’s fabrication team has been working on the SITS for the past several months. Fabrication is going smoothly with the Factory Acceptance Test (FAT) scheduled for late April, with shipping to final destination approximately 1 month after testing. The project has provided BENMAR the ability to showcase its unique talents for opportunities requiring third party oversight and certification. Our team of professional engineers and fabricators excel in projects of this type. We are very pleased and proud to be involved in the fabrication of these SITS for NAVSEA. The much anticipated A-frame bases being welded out! !